The three jewels of Jainism are also known as three gems and three refuges. They are different from the three jewels of Buddhism. 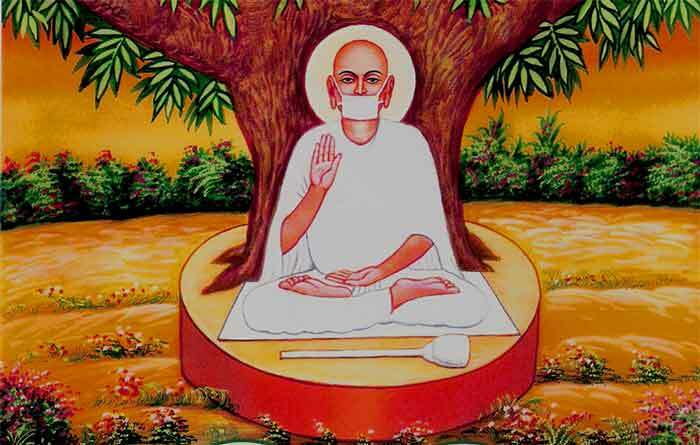 They constitute the core practice of Jainism for both the ascetics and the laity. The three jewels are interdependent and yet independent. They prepare the followers to practice the vows they have to undertake as a part of their religious obligation. Jainism is a very austere religion, which demands a high degree of commitment from its followers, in which one has to be willing to forego everything to achieve liberation, including one's life. While the laity is given some freedom to practice the law, no lenience is given to those who have choosen to become the ascetics and follow the path in letter and sprit. The three jewels which are common for both groups are cultivation of 1. Right perception (samyak darshana), 2. Right knowledge (samyak jnana) and 3. Right conduct (samyak charitra). These three jewels are discussed in detail below. Right Perception (samyak charitra) is also translated into English as right vision, and right view. It is actually all these and even more. Perception is not a mere physical act. There is a mental process behind it and it is very much influenced by the attitude and the background of the preceptor. Right Perception comes with the ability to discriminate correctly between right and wrong, good and bad, right belief and wrong belief, right knowledge and wrong knowledge, and between truth and untruth. Right Perception comes from right thoughts, right insight, right knowledge, right understanding, right faith, right relationships and right attitude. In a traditional sense, right perception comes from having right beliefs and right thinking about the thirthankaras and their teachings, and by knowing the difference between the Jiva, the embodied soul and Ajiva, the inert matter. In a negative sense, right perception also means not having the wrong perception, which is acquired by not believing in false prophets, not following wrong scriptures, not believing in the wrong knowledge and not indulging in wrong practices. The three jewels are interconnected and work in tandem. One cannot have right conduct without right knowledge and one cannot have right knowledge without right perception. Right conduct comes from the awareness of what is right and what is wrong and by doing what is right. It is practicing right knowledge as revealed by the thirthankaras and the jinas. At the core of their teachings is the practice of non-violence as a solution to the problem of karma. However ahimsa has to be practiced in conjunction with other teachings. 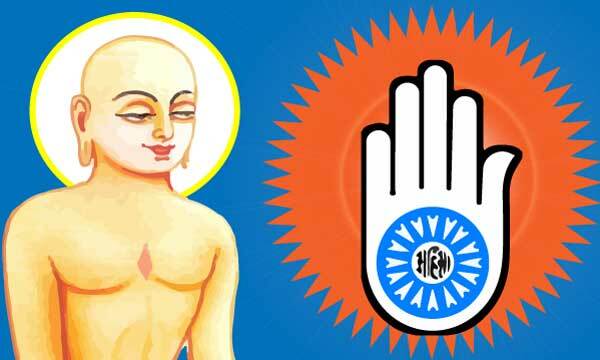 A follower of Jainism should not have any doubt about the teachings of the Jinas. From faith comes the conviction and the resolve to remain committed to the path. Faith in the doctrine is therefore the first commitment expected of each follower. The conviction is further cemented by the 12 vows or vratas, which each initiate into Jainism has to undertake to begin his or her journey on the path. Of the 12 vows five are main vows or maha vratas and the rest are supplementary vows or anuvratas. Jain scriptures provide ancillary information on how to practice each of the main vows. In Jainism, the five main vows are an important part of spiritual practice to achieve liberation. They are meant for both lay followers and ascetics. The five main vows are stated below. Samyak vrata, which consists of engaging in periods of meditation, study of scriptures for not less than a specified amount of time. 1. To worship the thirthankaras, respect for guru and believe in their teachings. 6. Not to eat food after the sunset and before sunrise and not to drink water before daylight. 10. To lead the life of an ascetic away from home, wearing ascetic clothes and following the rules of an ascetic. In addition to the vows, certain common duties are prescribed for both the ascetics and the laity. The former are expected to observe these rigidly while certain allowances are made for the latter since they are not fully committed to the path. These are described as right penance (tapas) and right contemplation. Right penance is both external and internal. The external penances are fasting (anshan), moderation in eating (unodari), living like a beggar (bhikshachari), indifference to physical pain (kayaklesh) and withdrawal from the worldly pursuits (sallinatha). The internal penances are repentance (prayaschitta), humility (vinaya), service (vaiyavritya), study (svadhyaya), meditation (dhyana) and renunciation (viyuut-sarga). Right contemplation consists of practicing 12 kinds of reflections, on the following. Attribution: The image of Jaina monk used in this article is used under the Creative Commons Attribution-Share Alike 3.0 Unported license.